Products of eicosanoid metabolism (usually, arachidonate) with several physiologic roles, such as mediation of inflammation and participation in allergic reactions; leukotrienes differ from the related prostaglandins and thromboxanes in that they do not have a central ring; so named because they were discovered in association with leukocytes and were initially determined to possess three conjugated double bonds; letters A-F identify the first six metabolites isolated, with subscript numbers to indicate the number of double bonds (for example, leukotriene C4). a class of biologically active compounds that occur naturally in leukocytes and produce allergic and inflammatory reactions similar to those of histamine. They are thought to play a role in the development of allergic and autoallergic diseases such as asthma, rheumatoid arthritis, inflammatory bowel disease, and psoriasis. Products of eicosanoid metabolism with physiologic roles in inflammation and allergic reactions. Powerful chemical agents released by MAST CELLS, basophil cells and MACROPHAGES and involved in many allergic and other immunological reactions. Leukotrienes are derived from ARACHIDONIC ACID and cause CHEMOTAXIS and increase the leakiness of small blood vessels. In asthma they cause the narrowing of the air passages and the secretion of mucus. They can be inhibited by corticosteroid drugs. A class of small molecules produced by cells in response to allergen exposure; they contribute to allergy and asthma symptoms. endogenous chemicals (lipids), derived from arachidonic acid, active in the inflammatory process and some allergic responses, and one of the triggers of asthma. Leukotriene receptor-blocking drugs have been developed as part of the treatment regime for asthma and are particularly useful where exercise-induced symptoms are prominent or when there is associated rhinitis. n.pl regulators of inflammatory and allergic reactions. Biologically active leukotrienes are made up of 20-carbon carboxylic acids derived from arachidonic acid. 16-20] Since inhaled or oral corticosteroids have not been shown to attenuate leukotriene production in vivo , therefore, a leukotriene receptor antagonist in combination with inhaled corticosteroid may confer additional benefits and could be the best combination. 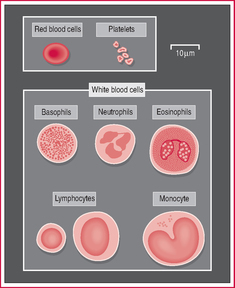 The eosinophils will secret cationic protein when activated by leukotriene and IL-5. Polymorphisms in ALOX5 and also in 5-lipoxygenase-activating-protein (FLAP) are associated with the excessive production of leukotrienes (Koshino et al. Formulation of leukotrienes and hydroxy acids by human neutrophils exposed to monosodium urate. Leukotrienes have been implicated in the pathogenesis of eustachian tube dysfunction, (1-4) and a leukotriene receptor antagonist has been shown to be beneficial in preventing the development of middle ear fluid after an inflammatory challenge in the guinea pig model. More simply put, it works by keeping substances in the body called leukotrienes from binding to their target point in the human airway. Leukotrienes: Using polymorphnuclear leukocytes which can produce only leukotrienes, salai guggal in a sigmoid concentration-dependent manner inhibited production of LT[B. 6) They act through the selective blockade of the cyteinyl leukotriene (cysLT1) receptors, which inhibits both the bronchoconstrictive and inflammatory effects of the leukotrienes. Each daily packet of Efficas Care delivers a tablespoon of a formulation containing two essential fatty acids--750 mg GLA and 500 mg EPA--in a precise ratio to effectively block the production of leukotrienes.